Three Pakistani soldiers were killed and five others wounded in a roadside bomb blast in the country's northwest near the Afghan border on Thursday, officials said. 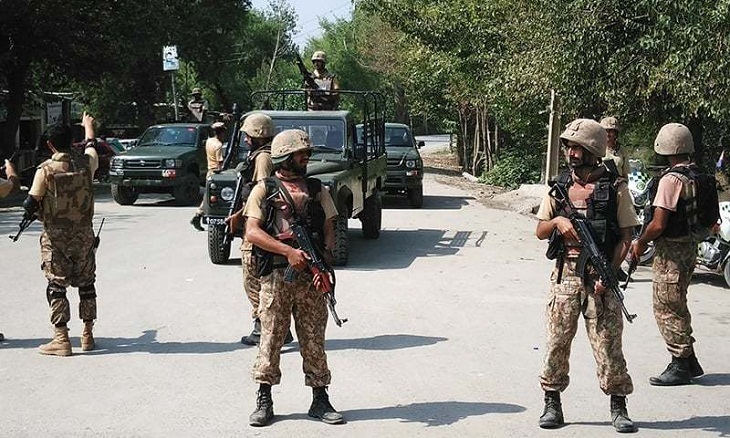 Soldiers were carrying out routine search operations in Makeen Tehsil of South Waziristan district when the explosion took place, local officials told AFP on condition of anonymity. There was no immediate claim of responsibility for the bomb. Pakistan's army has been battling Taliban and Al-Qaeda linked militants in the region for years. Violence in Pakistan has declined in recent years following a series of military operations along the border with Afghanistan, but militant groups are still able to carry out deadly attacks. There have been a number of fatal assaults in recent months in the northwest, as well as in the southwestern Balochistan province. Pakistan's army launched its operation in mid-2014 to wipe out militant bases in the area and end the near decade-long insurgency that has cost thousands of lives. The operation was intensified after the Taliban massacred more than 150 people, the majority of them children, at a school in the northwestern city of Peshawar in December 2014. In 2016, the Pakistani army claimed to have cleared the last militant stronghold in the country's northwest after a three-month long operation.